At Osgood, Pennsylvania, the Bessemer & Lake Erie's Kremis-Osgood Cutoff spans the valley of the Shenango River and three railroad lines. 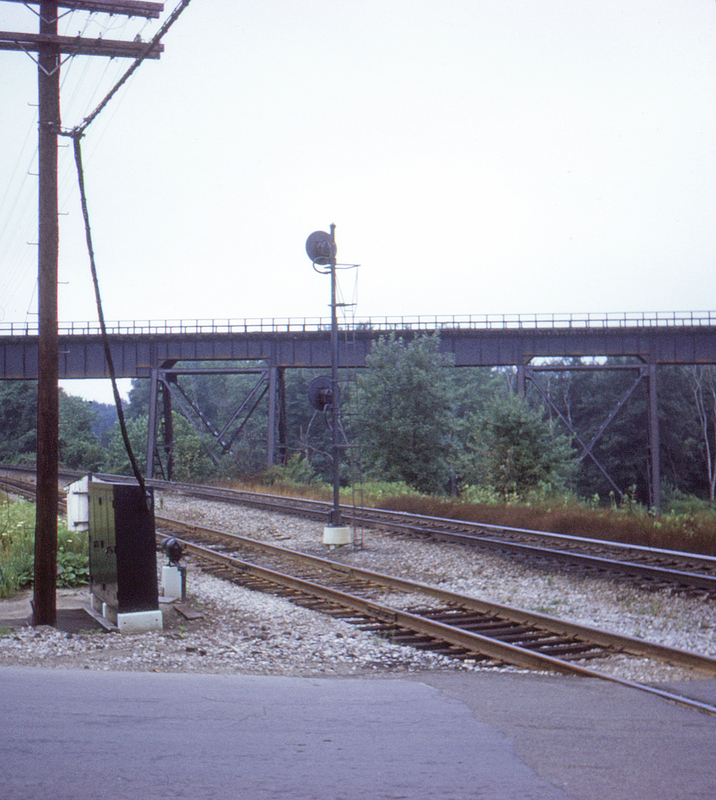 One of those is the Erie main line in the foreground; the signal in the center is the interlocking signal for the crossing of the New York Central's Oil City Branch. The track nearest the camera is an extended siding, protected only by a dwarf signal. Below the bridge, not visible in this photo, is the river and the B&LE's "old" main line via Greenville, Pennsylvania.